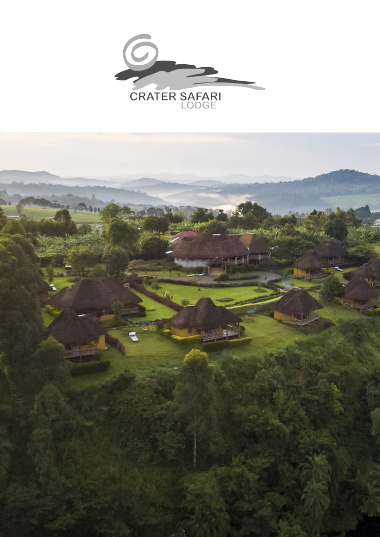 Crater Safari Lodge overlooks the second largest crater lake in Uganda, and is within close proximity to the chimp trekking destination of Kibale National Park. 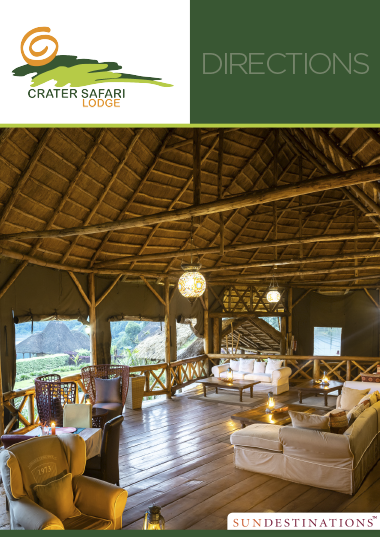 The well-appointed Crater Safari Lodge is situated in a prime location on a hill overlooking the second largest crater lake in Uganda. The views from the lodge are breathtaking, and the 21 rooms (deluxe chalets or standard cabanas) either have a full or partial view of the crater lake below. Close to the lodge is the famous Kibale National Park, home of the chimp trekking safari. The national park protects the lush and dense evergreen rain forest, which is the natural habitat to chimpanzee. 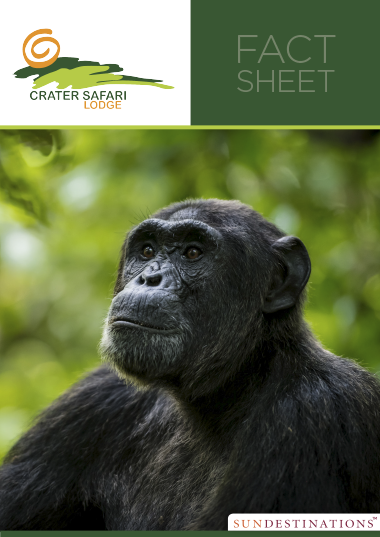 Chimp trekking, outdoor activities and numerous cultural activities in the immediate area can be booked during your stay. The main area houses the restaurant, intimate bar area and lounge. The boma area is the ideal place to relax around a roaring and crackling fire; and share stories about the day’s activities. The sparkling swimming pool adorning the manicured lawns is the perfect place to soak up the African sun and enjoy panoramic views of the sublime crater lake. 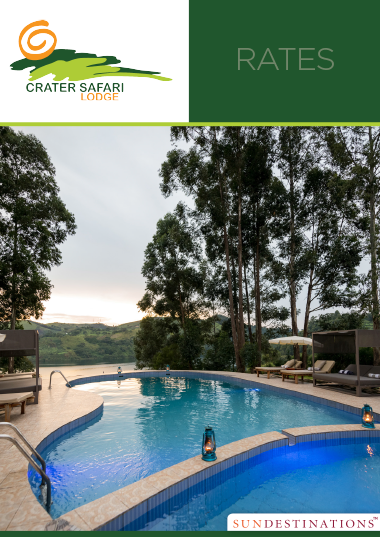 Crater Safari Lodge is the perfect place to base yourself for a true jungle and wilderness experience in Uganda. The lodge is an award winning eco-lodge, and offers an unsurpassed remote wilderness experience. The surrounding area is home to 9 crater lakes and abundant tea and coffee plantations. The famous Kibale Natinonal Forest is is home to gangs of chimpanzee, and the neighbouring Bigodi Wetland Sanctuary is home to abundant birdlife and primates. The "Top of the World" viewpoint is close-by, and the immediate surrounds are nothing short of breathtaking and exceptional!